The quality of home appliance service determines the longevity and performance of each household unit and hence your expenses and convenience. Don’t take chances with your wallet, safety, and comfort! When it comes to appliances service Los Angeles requests, trust your needs to our expert, local team. In our Appliance Repair Los Angeles CA company, we offer full services and make things easy for you. With a team of expert technicians, we can help you with any new appliance installation and definitely cover your maintenance and repair needs. And when it comes to appliance repair services in LA, there is not a faster team in town. When it’s time to maintain your home appliances, we’ll be there to offer assistance. Our appliance service technician will maintain any unit in your house in LA. It’s smart to maintain appliances, like the refrigerator & freezer, the dryer, the washing machine, and the dishwasher. Such units might leak or cause terrible problems related to your safety. Take your gas oven, for example. Related problems might lead to gas leaks and hence to hazards within your home. So don’t underestimate the significance of routine appliance service. Call us today to maintain your units. Sudden freezer problems? Leaking dishwasher? The washer won’t spin? There is always the possibility of appliance parts breaking down. And when they do, you will need the assistance of our appliance technician. 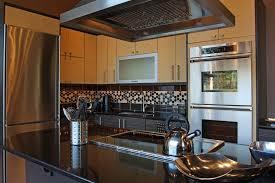 We offer same day appliances service in Los Angeles, California. Our pros carry all spares and tools they might need for the service in their vans. We replace faulty components on the spot. Our company can fix any major home appliance, including gas and electric ones, comb units, compact appliances, and front or top load washers & dryers. We also fix small appliances, like your microwave. All techs in our team are qualified, experienced, certified, and licensed. Whether you need to schedule maintenance or repair an appliance now, depend on us. Call our team and rely on our LA City Pro Appliance Repair Services.